This large etched giraffe print monogram design is sure to please any animal lover. 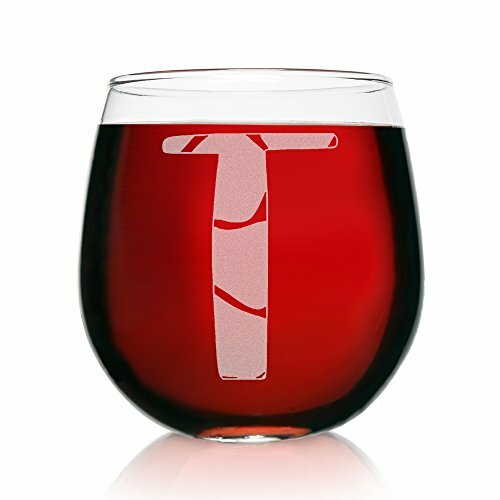 Whether you prefer to fill your glass with wine, or another beverage, this unique etched stemless glass is very durable and they are also dishwasher safe! The etching is permanent so the letters will not flake, fade, or rub off. PERMANENT: The large letter engraving will not flake, fade, or rub off. Stemless wine glasses are dishwasher safe! If you have any questions about this product by On The Rox Drinks, contact us by completing and submitting the form below. If you are looking for a specif part number, please include it with your message.